Can you read my mind? Do you know what it is that you do to me, the CW? Here I am, like a kid out of school, wondering why you’re a fool. 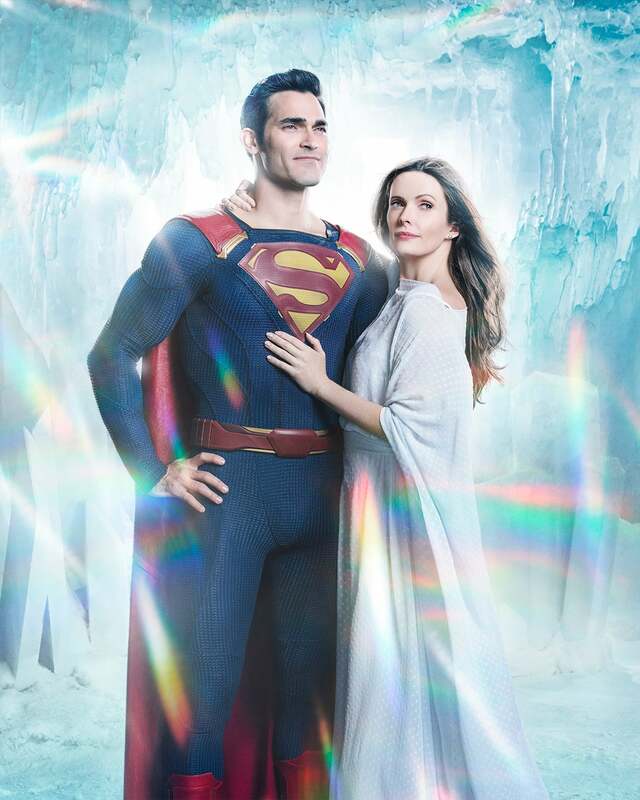 As first reported by TVInsider, the CW has released a new image of its version of Superman (Tyler Hoechlin)—this time also giving us our first glimpse at the CW’s Lois Lane, played by Bitsie Tulloch. You’ll notice the two are hanging out in a cavern of ice and crystals with rainbow reflections everywhere. Tulloch is dressed not in the garb of a reporter, but in a long, flowing nightgown—exactly the sort of thing one wears when reciting poetry and flying over Metropolis with a stranger. Which feels like a problem! The impulse to go to Richard Donner’s 1978 Superman film is a natural one. Donner firmly established looks for Krypton, the Fortress of Solitude, and Superman and Lois Lane. It’s something Bryan Singer foolishly clung to for 2006's Superman Returns—so reverent to the ’78 film it felt derivative. Now the CW gives us our first official glimpse of these characters together, and it’s a weird piece of fan service for the parents of the kids that actually watch the CW. I don’t quite get it. Donner’s Superman is in no way iconic beyond Christopher Reeve’s turn as the Man of Steel. It’s a good film, and one I really enjoy, but it is dated. Badly. And it does not, should not, be the reference point for Superman. Not when we’ve have multiple iterations, both live action and animated, since. There’s plenty of outfits that the CW could have gone with when giving us our first glimpse of Lois Lane (who will first appear in the Elseworlds crossover). Instead it went with this ’70s number, which I can only hope she’s wearing because it’s actually Kryptonian garb and she’s just been hanging out with her boy toy in Argo City. Here’s hoping she wears something a little more practical when Elseworlds starts airing in the US on December 9th.